At Belfast & Lisburn Women’s Aid, our staff have extensive experience working to support women and children affected by domestic violence over the past 40+ years. 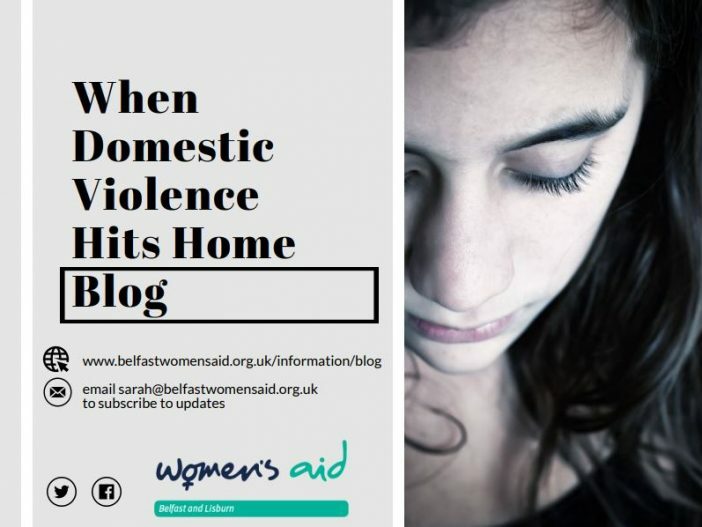 We started our blog a number of months ago as platform to communicate that knowledge while hopefully educating others interested in issues relating to domestic violence. Through the power of social media, we have been able to reach tens of thousands of people with our articles. They have attracted media attention & support and affected positive outcomes. It really does demonstrate how even a simple ‘share’ or ‘retweet’ of a post can have a ripple effect and a positive impact. If one post can encourage a woman to pick up the phone and access support or prompt someone to think about something they never gave a second thought to – then we know it’s worthwhile. We hope that through our blogs we can continue to promote our services in a reader-friendly & thought-provoking way, build awareness and garner support as we work to tackle domestic violence. Sign up to our topical blogs and be included in our mailing list to receive updates. Alternatively, you will find them on our website under the information section. If you, or someone you know, has been affected by domestic violence you can contact us on 02890 666049 or the 24 Hour Domestic & Sexual Violence Helpline on 0808 802 1414.